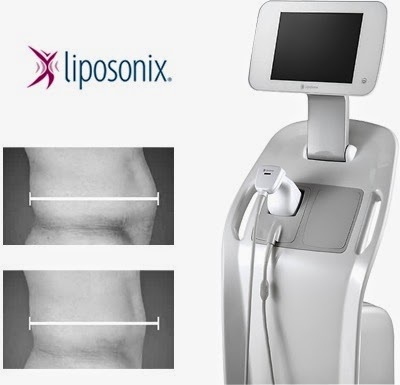 Liposonix is the newest and latest equipment to hit the medical aesthetics market for non-surgical fat destruction. Using HIFU or High Intensity Focused Ultrasound technology, this treatment can reduce your circumference by 1 size in just 1 session! Father reduction can be achieved by repeating the treatment 2 months later. 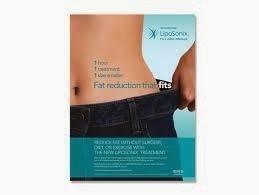 The ultrasound is "focused" onto the fat tissue to be treated. It penetrates upto 2inch deep. 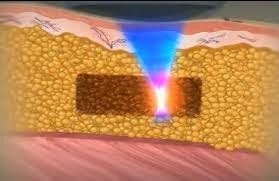 The focused beam then destroys the fat cell membrane allowing it to rupture and release the fat in melted form into surrounding. It does not affect the other surrounding tissue liek muscle or connective tissue. Once the fat cells are destroyed, it becomes waste product and thus will be eliminated by the body's immune system and lymphatics. 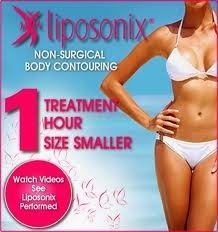 Reduction ocuurs through the course of 2 to 8 weeks and offers upto 1 size or 4cm loss after 1 session. There is no downtime after although some people might experience a little bit of tenderness and sometimes some bruising in the treated area. The treatment is a daycare procedure. When you see our doctors, your area to be treated will be assessed and an estimate of the no of "sqaures" will be suggested based on how wide or big you desire. The handpiece applicator that transmits the ultrasound waves is applied onto the marked areas and the US is released. Several passes may be necessary to achieve the optimal energy for desired results. Skin Whitening and Beauty from Within.